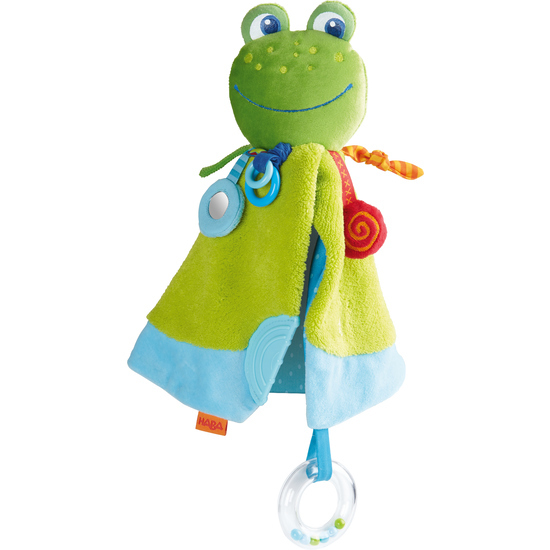 The magic frog hops cheerfully along throughout your child’s babyhood. Its green head and twinkling eyes are surrounded with a myriad of components for exploration and play – squeaker, mirror foil, plastic rings and a variety of ribbons. Babies also enjoy the teething component and large rattling ring!